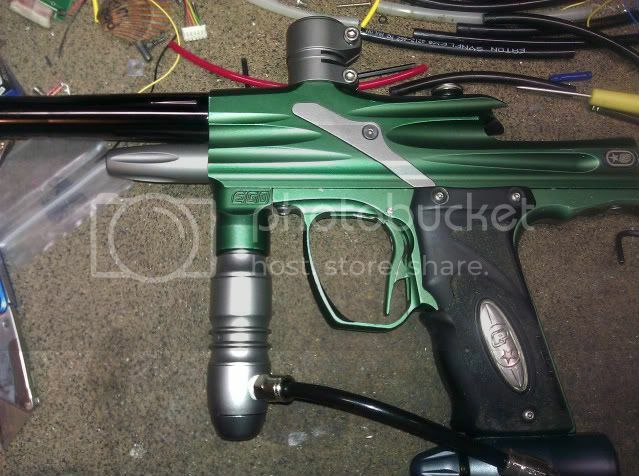 06 ego, dust green with pewter colored accents. In good condition for an 06. Accents and hyper body are "new". 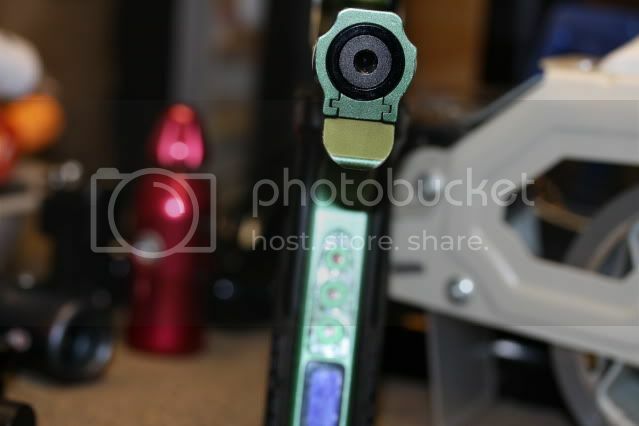 Does not include the mini barrel or the bolt in the pics. 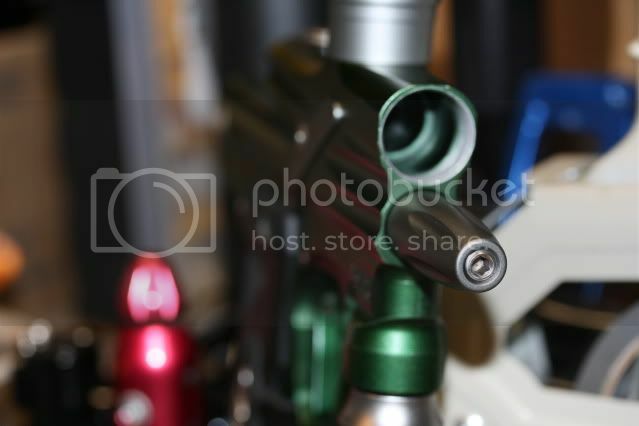 I have a stock bolt for it, as well as a proto 2-piece barrel that has a silver back that comes close to matching the color kit. 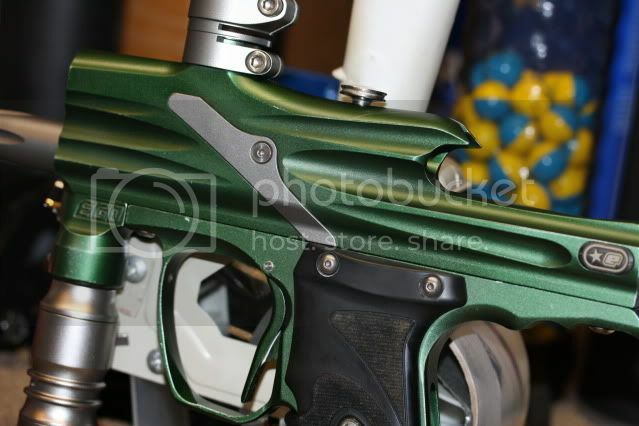 The CP ASA is included, but the color does not match. I can deduct a bit if you don't want it. 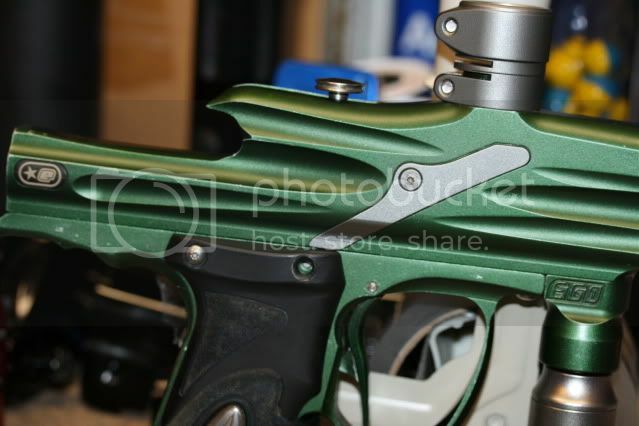 The rail was milled off of the frame, so standard rails / ASAs can be used. Button pad has been put back on since these pics were taken. the grips are dirty, but I have taken them into the sink and scrubbed. most came off, but what you see is what is there. Stock board, with 2.00 programming. LCD screen does not appear to have any missing pixels. This was bought in pieces and assembled by me. It has been tested in the back yard, but that's it. Fires fine, leak free. I will be poking around on it until it sells to make sure I am comfortable with the working condition before it ships. Any questions please ask! 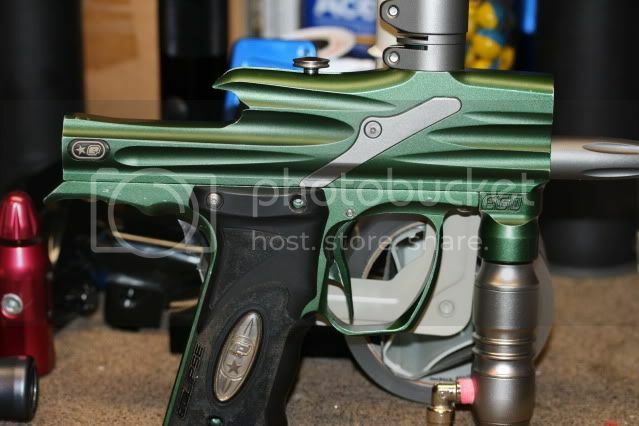 I am selling because I recently picked up 2 other project egos. 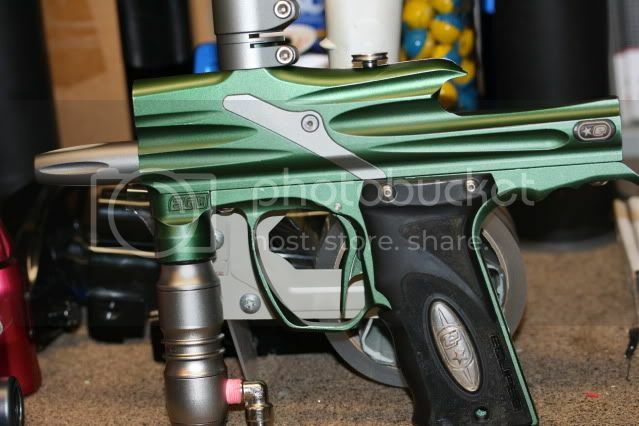 Will consider trades, but I am getting way too many markers so I am picky: Legend preferably in dust black, 07 Cyborg. Selling price on this is $225 shipped in the CONUS. Would like to stay within the 48 states. Paypal preferred. Thanks! Don't know what day or time,but need to stop by ,will call first.Wanna see this one and other ego projects.